The mid-size trucks have several characteristics that put them ahead of the better-selling full-size models like the maneuverability and efficiency while still provide enough towing and payload capability for the most buyers. 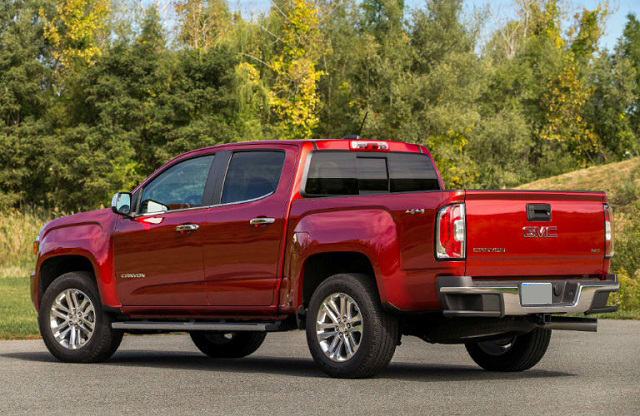 The mid-size class revived after the arrival of the refreshed Chevy Colorado and GMC Canyon in 2015 while the Toyota Tacoma continues to be the class best-seller. But with the return of the Ford Ranger and arrival of the Wrangel-based truck, there could be some meddling in the market share. GM is, on another hand, finishing the new-generation of the heavy-duty models and we spotted multiple configurations of the Silverado and Sierra HD. But the question remains will there be some upgrades on the 2020 GMC Canyon and its mechanical twin. There were reports that the new generation GMC Canyon and Chevy Colorado will enter the production early 2022. Still, no test mules spotted on road of the 2020 Canyon and we don’t have any proof that there will be some styling and mechanical upgrades following the redesign of the light-duty Silverado and Sierra models. So, the changes expected for the 2020 Canyon remain the matter of speculations. The model received the new infotainment system, parking sensors, new driver seat and color options for the 2019 version. However, unofficial reports claim that the next Canyon and the twin Chevy model could receive some styling, interior and mechanical upgrades. 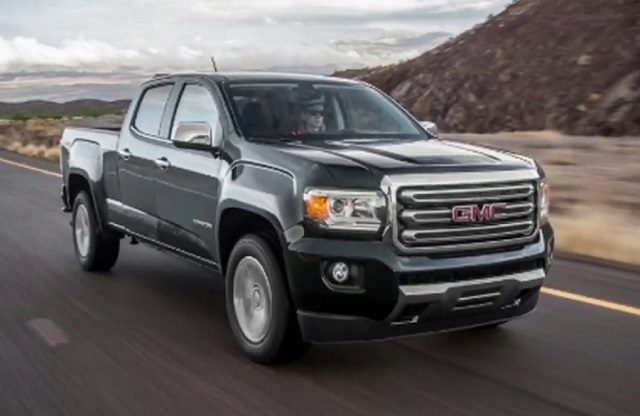 2020 GMC Canyon: Styling Changes? With no test mules caught testing on the roads, we don’t have a proof that GM is prepping the update of the 2020 GMC Canyon. Some reports suggest, however, that the next Canyon could come with some styling updates in order to stay fresh and in the line with the brand’s newest design language before it receives the full redesign for the 2022 version. As some sources claim, the 2020 Canyon should adopt the refreshed front end with the styling elements similar to those seen on the latest GMC SUVs and the all-new, half-ton Sierra. That should include the new even more eye-catchy grille version with a more dynamic outline. The headlights should also feature the design with the C-shaped signature lighting like in the brand’s new SUVs and Silverado. The dimensions and sheet metal shape will remain in the same form until the next redesign while the new versions could appear including the AT4 model. On the interior side, the truck is not expected to bring radical changes. The model got the upgraded infotainment system, HD rearview camera, new driver seat and more for the 2019 model year. The next version could bring just a few new texture details and expand the availability of some upper-grade options. The dash design will also remain in the same form. The truck lacks also some widely available active safety systems and the new model year could bring the automatic emergency braking and other systems to improve the safety ratings. The mid-size Canyon is the truck with the refined demeanor and diverse powertrain options. The truck offers six- and 8-speed transmission options and the diesel-powered towing capability of 7, 700 pounds with the 30-mpg highway efficiency. As for the possible powertrain upgrades, some sources suggest that brand is considering the turbo-four engine option and the new 10-speed automatic transmission. The new, light-duty Silverado offers the new 2.7-liter turbo-4 engine and the 10-speed gearbox and these would be the great upgrade for the mid-size truck. Still, no hints from the company about this possibility. What is sure, the proven 2.8-liter turbodiesel will remain but could come with the improved performance. The current form of the engine provides 181 hp and torque of 369 lb-ft in the mix with the six-speed automatic transmission. The model will also repeat the 3.6-liter V-6 engine with possible upgrades to efficiency and performance. The V-6 engine is capable of producing 308 hp and torque 275 lb-ft in the current version. The 2020 GMC Canyon will hit the market late next and more details will emerge in 2019. In any case, GMC will try to keep the price range close to the current and the next version should again start around $22, 000. The high-luxury Denali version should again keep the price above $40, 000. Hopefully GM will add power folding mirrors to the 2020 Canyon since the biggest advantage of a mid-size truck is it fits inside a normal garage. Ford got it right on the new Ranger! Please add blind spot monitoring and 360 degree camera. Also, how about a power sliding rear window for the Crew Cab models? GMC, make the rear floor dog friendly, flat with no obstructions, with seat bottoms that lift up. Make a tailgate like the new Sierra Multi-Pro. Do not follow Chevy’s lead with only dark interiors/exteriors. Some folks like lighter interiors. How about a bench front seat like the Sierra, with the transmission selector on the column. Make the access side step a less desirable option. An AT4 that allows lighter color exterior and interior. Owner of a 2004 Sierra SLE/Z71 Extra Cab with 150,000+ miles on it. Power adjustment for the seat back. I agree with Joe Holt.